Anxiety is just a schoolyard bully. Chris Hogan talks about how to combat that bully. He talks about Ramsey Solutions’ Retirement in America Survey and the section on anxiety and offers some tips on what to do when you start to feel anxious. Other features of this podcast include the Hear from the People segment (answers to email), The 3-Point Takeaway, and highlights from one of the Retire Inspired live events. In addition, Hogan shares a story spotlight called Self-Made about everyday people who followed a plan and are now millionaires. 0:31 – WELCOME 2:23 – RETIREMENT IN AMERICA SURVEY Chris discusses the portion of a Ramsey Solutions survey that focuses on anxiety and offers four tips for when you start to feel anxious: 1. TAKE A DEEP BREATH. Activating relaxation is important. 2. ACKNOWLEDGE HOW YOU FEEL. Identify the feeling you’re dealing with. 3. ACCEPT THE FEELING. Realize it is what it is. Don’t deny or ignore it. 4. QUESTION YOUR THOUGHTS. Ask yourself the following: A. Is this likely to happen? B. What can I do to relieve the anxiety? C. How can I prepare for what may happen? 12:00 – VIP ANNOUNCEMENTS The third winner is announced in the Retire Inspired Podcast Giveaway. You have one more chance to win $250. Go to chrishogan360.com. Subscribe to the podcast and type in your information. No purchase necessary. 15:03 – HEAR FROM THE PEOPLE Hogan reads listener emails: A man talks about Hogan’s Big Pop story (Episode 7, time code 14:49). A woman has a question about the 15% toward retirement from Baby Step 4. A woman asks about her and her husband’s expenditures while saving for retirement in light of their daughter’s medical needs. A woman on Baby Step 4 is successfully on the path toward retiring inspired. A woman wants to know how to talk to her parents about retirement and asks Chris to share more success stories. He points to Episode 4, time code 36:51. 27:12 – STORY SPOTLIGHT: SELF-MADE Hogan tells the story of several people, just like you, who became millionaires by being diligent and following a plan over time. 35:38 – RETIRE INSPIRED EVENT HIGHLIGHTS Hogan’s podcast producer shares a couple of highlights from attendees who are winning. 37:45 – THE TAKEAWAY Hogan gives his 3-Point Takeaway on combating that schoolyard bully, anxiety. 1. USE POSITIVE SELF-TALK. Think of reassuring statements you can make to avoid anxiety. 2. FOCUS ON THE NOW. So much anxiety is connected to what “could” happen. 3. FOCUS ON MEANINGFUL ACTIVITIES. The worst thing you can do when you’re anxious is obsess over the negative feeling. Remember your retirement dreams, know your R:IQ (see chrishogan360.com if you don’t know your number), and pay attention to your budget (see EveryDollar.com). 42:27 – RALLY CRY WRAP-UP 43:55 – CALL TO ACTION Don’t forget to enter the Retire Inspired Podcast Giveaway! You have one more opportunity to win $250. Go to chrishogan360.com. Subscribe to the podcast and enter your information. No purchase necessary. Go to chrishogan360.com to discover your R:IQ. While you’re there, click Dream Team then connect with a SmartVestor Pro for investing help and ELPs for real estate, insurance and tax services. 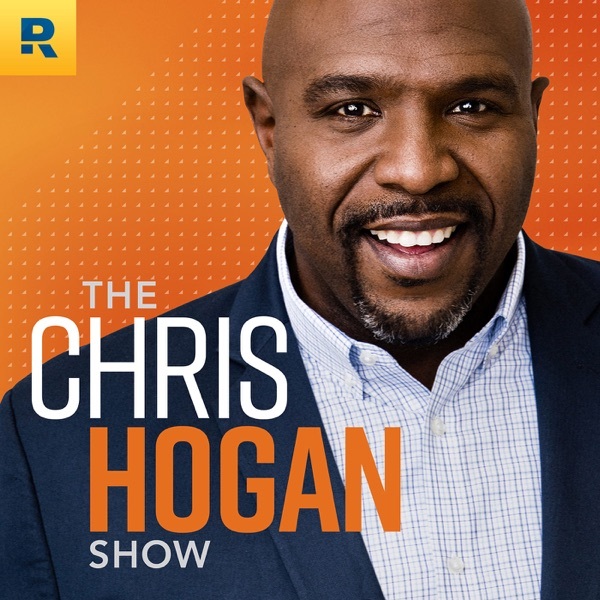 Email us your retirement dreams or wins and your big financial words for Professor Hogan to define on the podcast at podcast@chrishogan360.com. You can also write a review of the Retire Inspired Podcast on iTunes and subscribe to future episodes.